With a molded-foam seat cushion and a mesh back, you'll notice all-around comfort all day! Thanks to the EuroLuxe Grey Mesh Office Chair with Lumbar Support by WorkPro, you'll get more done in what feels like less time. 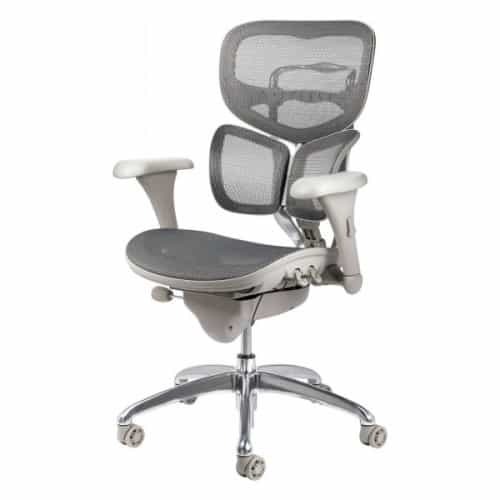 Molded-foam seat and adjustable seat cushion keep you ultra-comfortable as you work. 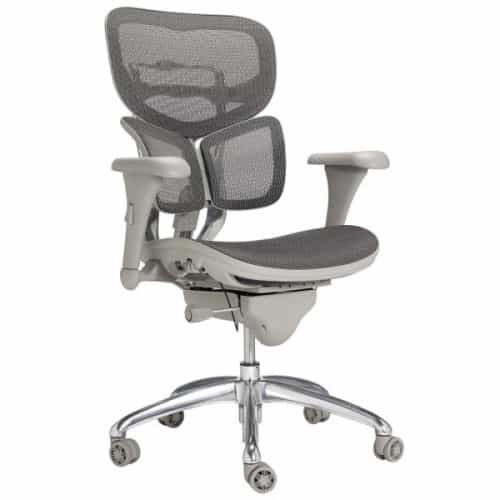 Plus, the mesh desk chair allows air to flow through, keeping you cool and not allowing any "hot" spots. Cable control mechanism with seat slider to customize for optimum comfort. This allows you to slide the seat forward and back for individualized comfort. Posture lock offers firm support for your back, creating the ideal fit for your own body. Tilt tension lets you tilt back as easily (or not so easily) as you prefer! The padded arms can pivot and adjust every which way to keep your arms and shoulders relaxed. 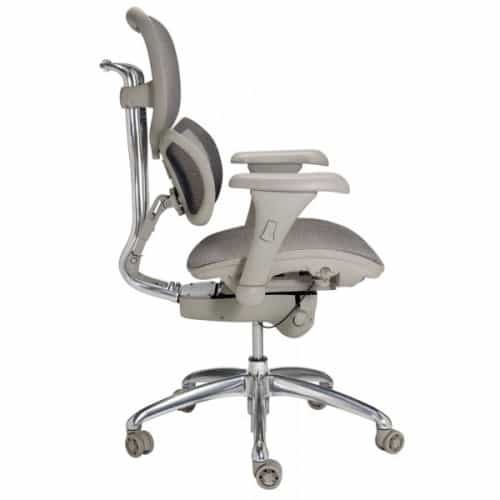 Offers 1-touch seat-height adjustment so you can find the perfect position for your back. Also offers back-height adjustment to accommodate taller torsos. EuroLuxe brings style, durability and extended-use solutions to office seating. The EuroLuxe black e..